The revenue generated through the tourism can give boost to any country’s economy. The Kingdom of Saudi Arabia has an array of historic buildings and places that the Muslims love to visit but under their normal Umrah visa they are not allowed to travel outside Makkah, Medina and Jeddah. To strengthen the tourism industry of the Kingdom, Saudi Authorities have planned to introduce “Umrah-plus” visa that will let Muslims to visit historical Islamic places that are outside the boundaries of the three cities. The chairman of Saudi Commission for Tourism and Antiquities, Prince Sultan bin Salman Al Saud reported that Saudi Arabia is already on its way to restore and build 30 museums and more attractions in Makkah and Medina based on Islamic theme. Moreover, in pursuit of tourism growth, the Gulf State aims to make tourism one strong pillar of its economy just like Dubai does. For this purpose, Heritage hotels are also going through the construction phase. For the year 2012, the noted rise in tourism revenue was 10 percent that summed up to 61.8 billion riyals (USD 61.5 billion). The religious visitors and pilgrims from the GCC (Gulf Cooperation Council) nations were a notable contribution to the tourism. 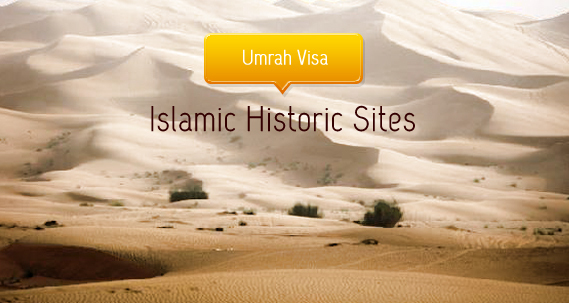 Within Umrah visa, the pilgrims are normally allowed to stay in Saudi Arabia for a period of 28 days during which they carry out the rituals of pilgrimage and explore the Ziyarahs in the two Holy Cities. With an issuance of Umrah-plus visas, the pilgrims will be allowed to take a supervised tour to the cultural and religious sites besides Makkah and Medina.